The Global Volcanism Program has no activity reports for Sao Vicente. The Global Volcanism Program has no Weekly Reports available for Sao Vicente. The Global Volcanism Program has no Bulletin Reports available for Sao Vicente. The Global Volcanism Program has no synonyms or subfeatures listed for Sao Vicente. 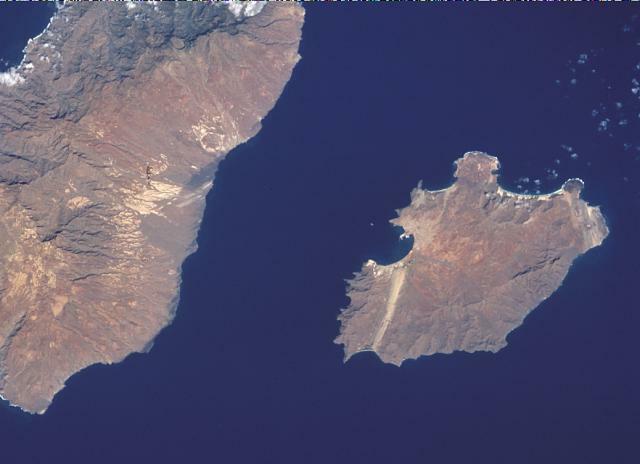 The 15 x 25 km island of Sao Vicente contains mafic lavas covering prominent peninsulas on the eastern and NE sides (Mitchell-Thome, 1976). The largest indentation on this island with an irregular shoreline is formed by a caldera on the NW coast that is breached by the sea and forms the setting for the port of Mindelo, the island's largest village. No Holocene material has been dated, and as of 2015 scientists in Cape Verde consider it's last activity to have been in the Pleistocene. The Global Volcanism Program is not aware of any Holocene eruptions from Sao Vicente. If this volcano has had large eruptions (VEI >= 4) prior to 10,000 years ago, information might be found on the Sao Vicente page in the LaMEVE (Large Magnitude Explosive Volcanic Eruptions) database, a part of the Volcano Global Risk Identification and Analysis Project (VOGRIPA). There is no Deformation History data available for Sao Vicente. There is no Emissions History data available for Sao Vicente. The Global Volcanism Program has no photographs available for Sao Vicente. The Global Volcanism Program has no maps available for Sao Vicente. There are no samples for Sao Vicente in the Smithsonian's NMNH Department of Mineral Sciences Rock and Ore collection. Large Eruptions of Sao Vicente Information about large Quaternary eruptions (VEI >= 4) is cataloged in the Large Magnitude Explosive Volcanic Eruptions (LaMEVE) database of the Volcano Global Risk Identification and Analysis Project (VOGRIPA).